With the Christmas season coming up (yes I have just said the C word in November) I thought that I would share my favourite mince pie recipe with you, my family love these and prefer them over your regular mince pies. I have adapted this Mince Pie Recipe from the Queen of baking Mary Berry, I just decided to make a non-alcoholic version by using the zest of an orange instead of brandy, as not everyone likes alcohol in things, I know my Dad doesn’t. Some people are not the biggest fans of mince pies, but I have found by putting orange zest in, it takes away some of the sharpness you get with mincemeat, and even those who are a bit dubious of mince pies love these. 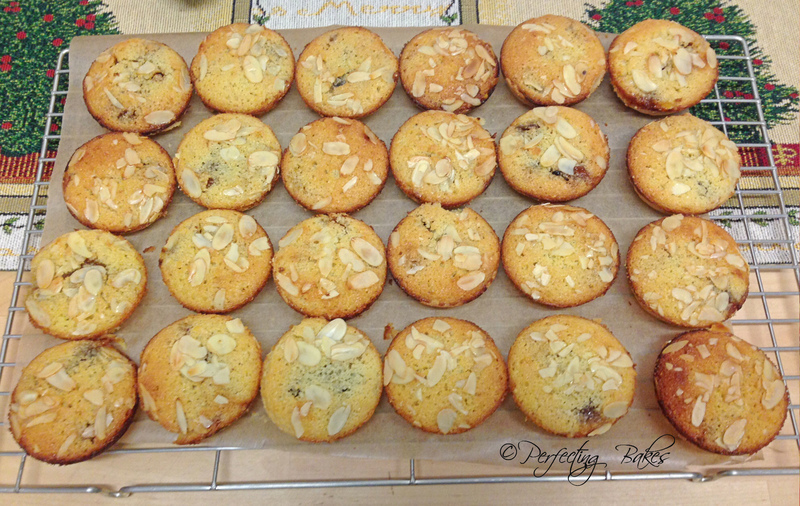 I have also converted my boyfriend who doesn’t like nuts or mince pies, but he loves these frangipane mince pies. 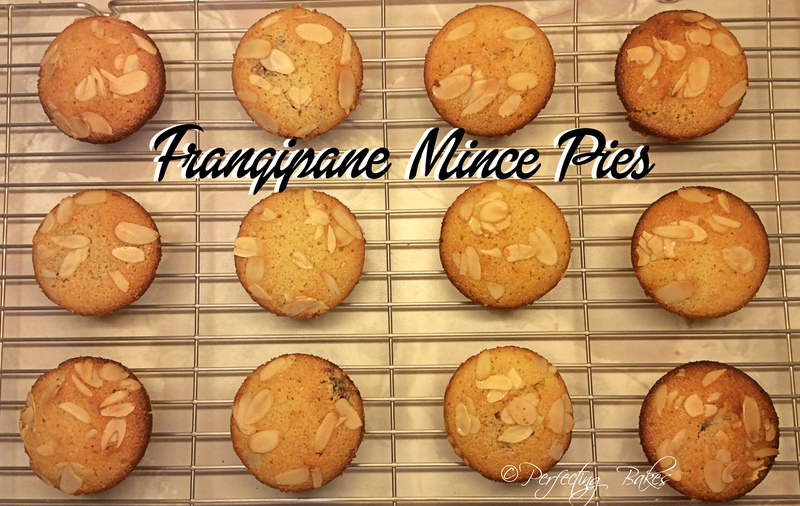 These frangipane mince pies taste so delicious, the ground almonds pair beautifully with the mincemeat and you get that hint of the orange too. They taste amazing slightly warm, but they taste just a yummy cool too. They are perfect for gifting people at Christmas, just but them in a small box or cellophane bag and tie with a ribbon and you have a great homemade edible gift. If you don’t want to go out and by boxes you could always use an old sweet or biscuit tin lined with baking paper. * If you don’t want to make your own pastry or you don’t have the time, you can always use ready rolled shortcrust pastry from your supermarket. To make the pastry: measure the flour, butter and icing sugar into a food-processor bowl, then process until the mixture resembles breadcrumbs. Pour in the beaten egg and pulse the blade until the dough starts to form a ball. Knead lightly, wrap and chill for about 30 minutes if the pastry is not quite firm enough to roll out. To make the frangipane: put the butter and sugar into the unwashed processor and blend until soft and creamy. Scrape down the sides, add the eggs and continue to process. Don’t worry if the mixture looks curdled at this stage. Add the ground almonds, flour and almond extract, and mix briefly. Roll the pastry out thinly on a lightly floured work surface and cut into 18 x 6.5cm circles. Use to line the tins. Spoon a teaspoon of mincemeat into each tartlet and top with the frangipane mixture. There is no need to spread the mixture flat as it will level out in the oven (but do not overfill the tins). Sprinkle a few flaked almonds on top. Bake in the preheated oven for 15-17 minutes, watching carefully. Remove from the tins and allow to cool a little on a wire rack. In a small saucepan heat the the apricot jam with a little lemon juice or water and bring to the boil (you are looking for a spreadable consistency). Brush each warm tartlet with glaze, or alternatively dust with some icing sugar. Like traditional mince pies, these are best served warm, my dad has had them with custard for a Christmassey dessert which is great if you don’t like Christmas pudding. If you want to make a large tart instead of individual ones, you can use the exact recipe quantity as above to make a large Mince Frangipane Tart by using a 9 inch (23cm) loose-bottomed tart tin. Which will take about 25 – 30 minutes to bake in a preheated oven at Gas Mark 6.